Many lawmakers, policymakers, and economic commentators do not appear to recognize the depth of the current labor-market recession. 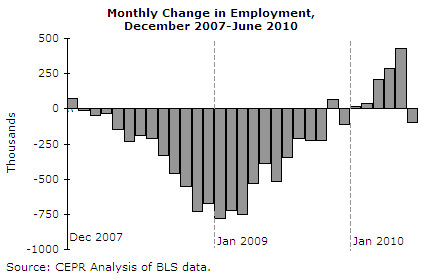 Between December 2007 – the official first month of the recession – and December 2009, the U.S. economy lost more than eight million jobs. 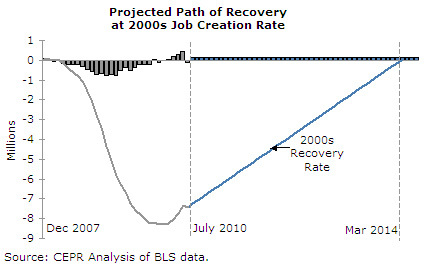 Even if the economy creates jobs from now on at a pace equal to the fastest four years of the early 2000s expansion, we will not return to the December 2007 level of employment until March 2014. 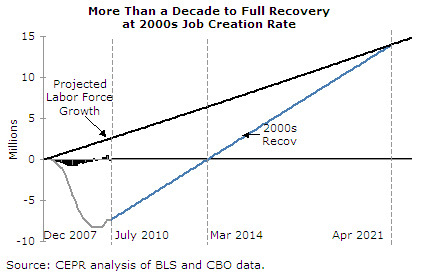 And, by the time we return to the number of jobs we had in December 2007, population growth will have increased the potential labor force by about 6.5 million jobs. If job growth matched the fastest four years in the most recent economic expansion, the economy would not catch up to the expanded labor force until April 2021. 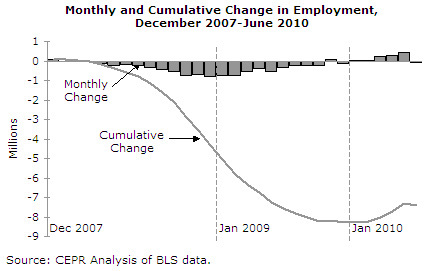 Absent policy changes such as a major jobs bill, the Congressional Budget Office’s most recent projections suggest that the economy will not return to December 2007 employment levels until June 2013, and will not cover the intervening growth in the potential labor force until August 2015. 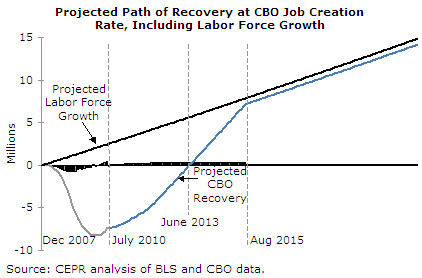 This report examines the depth of the current labor-market recession and sketches the possible recovery path under several historically based job creation scenarios.